Floyd’s 99 Barbershop has big plans for expansion in metro Orlando. 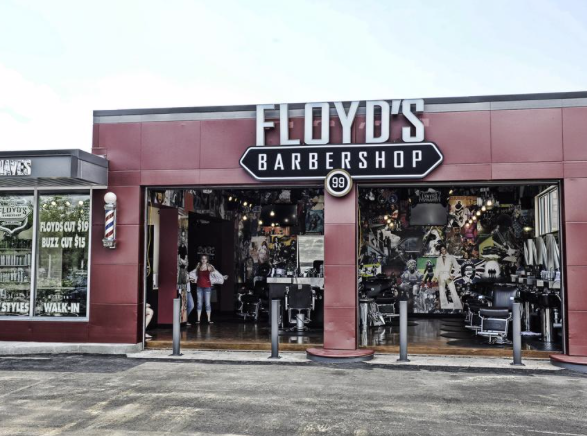 Greenwood Village, Colorado-based Floyd’s 99 Barbershop currently has six locations in Central Florida, with another three signed for development, franchisee Sarah Sleeth told Orlando Business Journal. However, she and her husband, former professional baseball pitcher Kyle Sleeth of the Detroit Tigers, are not looking to plop down a location in a shopping center and call it a day, but instead target spaces near similar brands and work with them. “Our brand is funky, we’re not going into a Joe hubbub type of strip center. We want more presence than that and we want to also help our co-tenants and vice versa,” she said.